As far as we're concerned, there's no wrong time of the year for a little spookiness. Whether it's watching our favorite horror films or curling up with a Stephen King novel, we love to be scared senseless. We’ve put together a list of the oldest and spookiest hotels across the world with guests that have long overstayed their welcome, if you catch our meaning. Whether you’re looking for accommodations featured in your favorite scary film, or a luxury stay in a hotel frequented by some mischievous ghosts, these hotels are here to meet your ghostly needs. Kicking off our list is probably the most famous of haunted hotels. Located in Estes Park, Colorado, you may recognize this hotel as it served as inspiration for the setting of the iconic Stephen King novel The Shining (and later the Stanley Kubrick film). When Stephen King and his wife visited here in 1974, they were the only two staying overnight as the hotel was about to close for the season. Sound familiar? In its over century-long history, it wasn’t until the 1970’s that paranormal activity was reported. 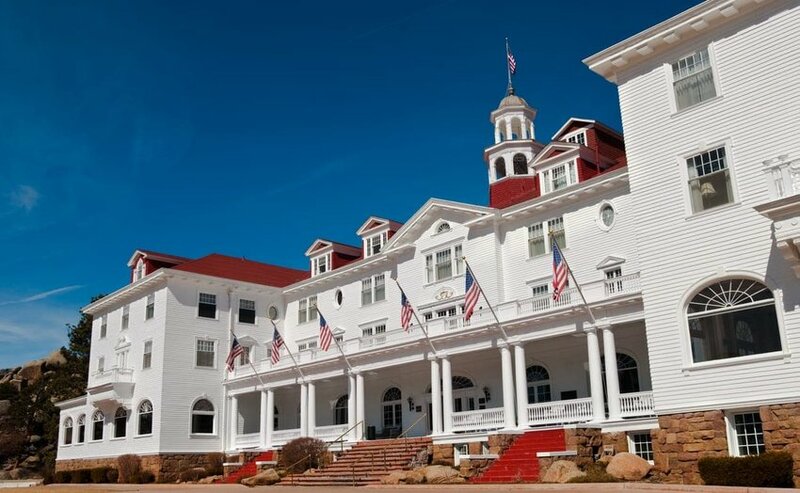 Whether the Stanley Hotel is truly haunted or fans just want it to be, you'll probably still look over your shoulder when you check in for the weekend. If you really want to catch a glimpse of a ghost, the Langham Hotel is your best bet. This hotel is riddled with ghosts and has a long history of paranormal activity. Let's see, a doctor who murdered his wife and then committed suicide? A mysterious man with a deep wound on his face? A former butler who wanders the hallways? And even Napoleon III? This hotel has it all. 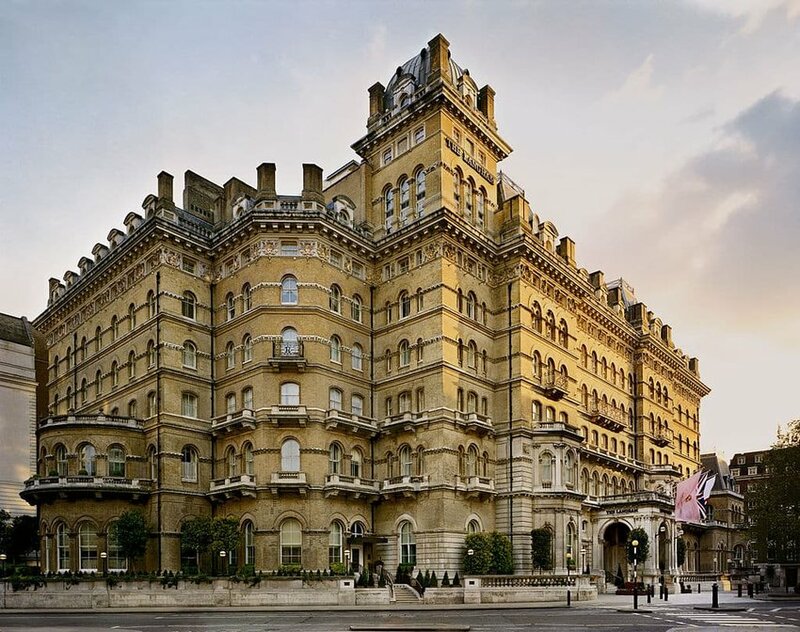 Opened in 1865, the Langham was London’s first luxury hotel and over the years has accommodated everyone from celebrities to royals and, well, apparently ghosts. Room 333 is supposedly the most haunted of the guest rooms and is available for booking for any brave travelers. Even if you aren't hoping for a ghostly entanglement, you'll still enjoy the luxury accommodations, which remain top-notch. This iconic San Francisco hotel used to be a finishing school for girls and in the 1800s. The story goes that the headmistress of this school decided she wasn’t ready to leave after her passing. But have no fear, the headmistress, Miss Mary Lake, left a long-lasting legacy of kindness and acceptance. You might say she’s a “friendly ghost” as it’s been reported that she will cover up sleeping travelers with blankets and even unpack their suitcases! Talk about great customer service! This 5-star luxury inn sits along the picturesque Lake Vidöstern in Lagan, Sweden. Looks super cute, doesn’t it? Well, its history isn’t so sweet. The hotel originally served as a private manor owned by a wealthy baron. It’s reportedly haunted by a young man who killed himself in what is now room 324 after the baron refused to let his daughter marry the boy. Guests claimed they've seen the boy roaming the property and windows seem to close by themselves. Yikes! 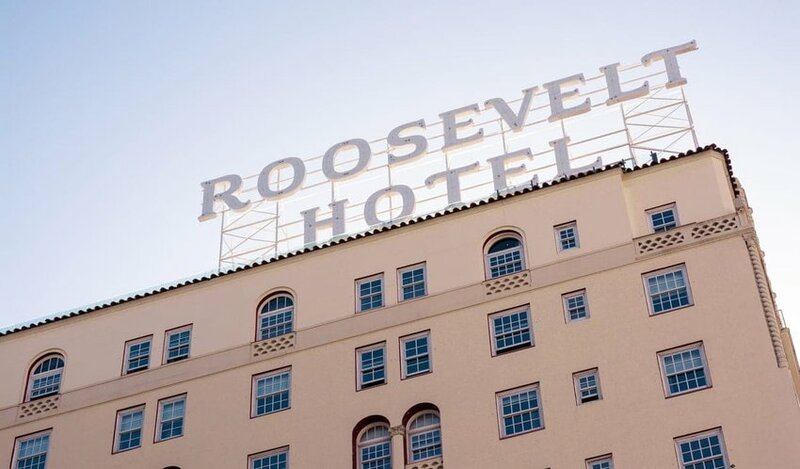 The Hotel Roosevelt in Los Angeles has a long and illustrious history, populated with Hollywood’s movie stars and A-list celebrities. It housed the very first Academy Awards and has an endless star-studded guest list. We mean, "ghost" list. It’s been said the spirit of Marilyn Monroe still roams the hallways of this Hollywood establishment. Monroe famously lived in here while her modeling career was just beginning to take off. The actress must have really enjoyed her stay at the opulent hotel as it seems her ghost may have returned. This time for good. The final location on our list has an interesting and quite grim past in its rear window. Hotel del Salto, which technically is no longer a hotel, can be found in the dense jungles of Colombia precariously perched on the edge of a cliff overlooking the incredible 515-feet high Tequendama Falls. The hotel, now a museum of biodiversity and culture, is still best known for its history as a luxury destination for Colombia’s elite. When the hotel was abandoned in the 1990s, it gained a haunted reputation, due in part to the horrendous aroma from the Bogota River surging through the gorge below. The dangerous, winding roads leading to the property, and the hotel’s long history of suicides didn't help its reputation. Countless people have thrown themselves into the ravine, including indigenous Muisca Indians fleeing Spanish conquistadors. While visiting is perfectly safe today, and is in fact an educational experience, you might still be on the lookout for ghosts.